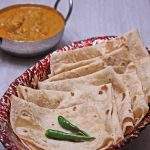 Veechu Parotta was the first name that came to my mind when thinking of what to make for letter ‘V’ for the A to Z International flatbread. 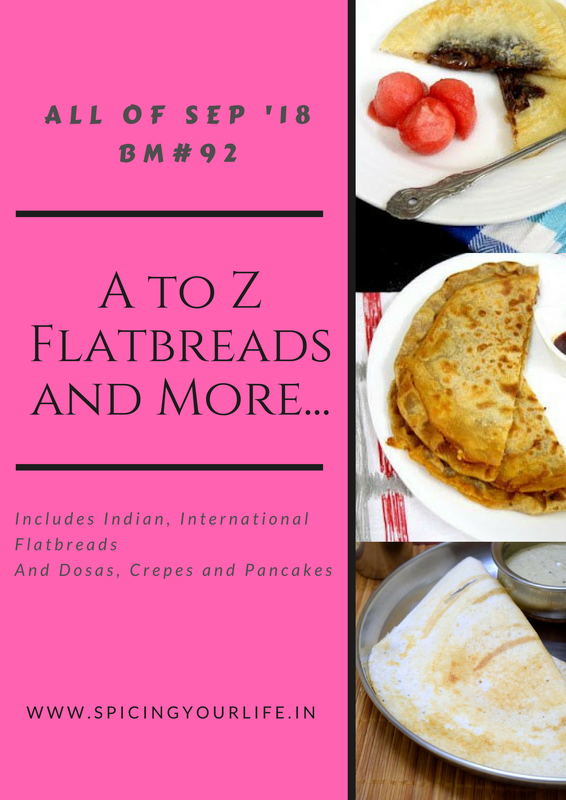 I tried not to use any Indian recipe until I get to the part when I have no choice and that time I thought I will use my own cuisine. Somehow, I was not able to shake off the Veechu parotta from my mind and stuck to it. I have always looked with lot of excitement at all the parotta making people when in a Bus terminal. I used to be so amazed at their rolling and flipping and stretching. Consider this somewhat similar to the experienced pizza makers who use their hands to show off their skills. 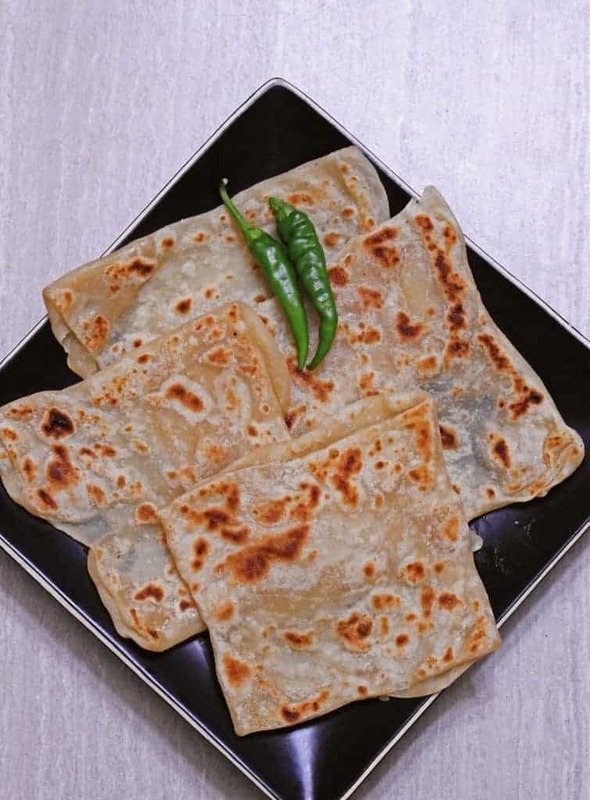 The regular parotta is spiral and flaky, whereas this Veechu Parotta is square in shape. 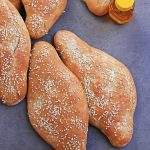 Other than the shape, the ingredients and the recipe is pretty much the same. Veechu parotta usually has egg in it, but I have used yogurt in the recipe and have made it egg less. The stretching of the dough to make it as thin as possible is a challenge and will take a couple of tries before we get their. It is alright to have tears in the dough as we are going to be folding it up as an envelope and it would not matter. 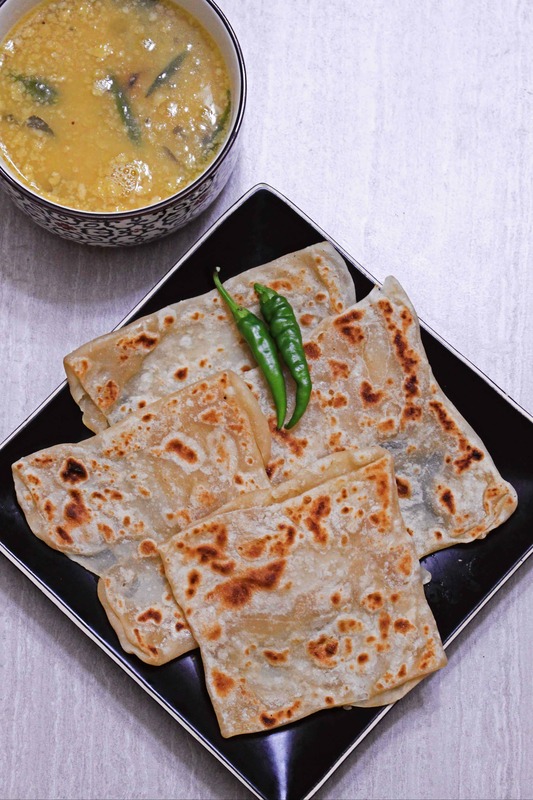 Veechu parotta uses quite a bit of oil and is not so healthy when made in a regular run. 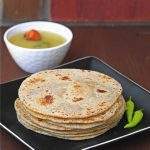 No wonder, the boys loved it because of all the oil that made the parotta very flaky and flavorful. In a wide bowl, add the flour, salt, sugar, yogurt and 3 TBSP oil and mix to combine. 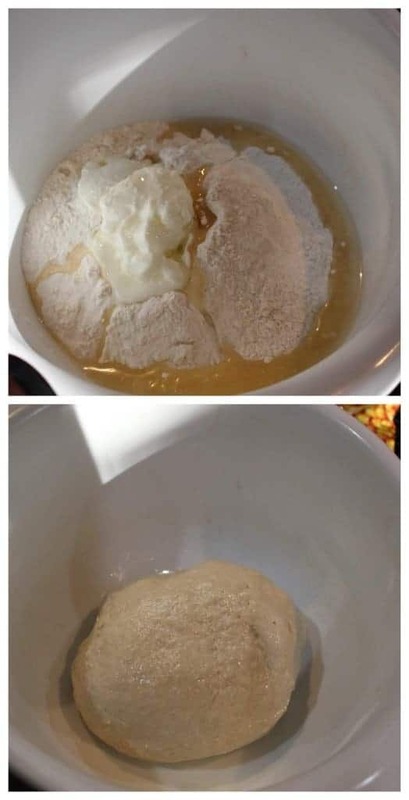 Slowly add water to make a dough. The dough should be very sticky and very soft. Keep kneading the dough until is is very smooth. The dough will be on the softer and stickier side. Coat with about 1 TBSP of oil and let the dough rest for at least an hour. The longer it rests, the better it is. I let mine sit for about 3 hours. 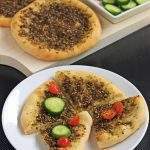 Divide the dough into 12 equal size balls and pour the remaining 2 TBSP of oil over the dough balls and let it rest for about 30 minutes. Working with one ball at a time, roll it, stretch it as thin as possible. Liberally use oil when stretching the dough. We don’t use any flour when rolling, just oil all the way. 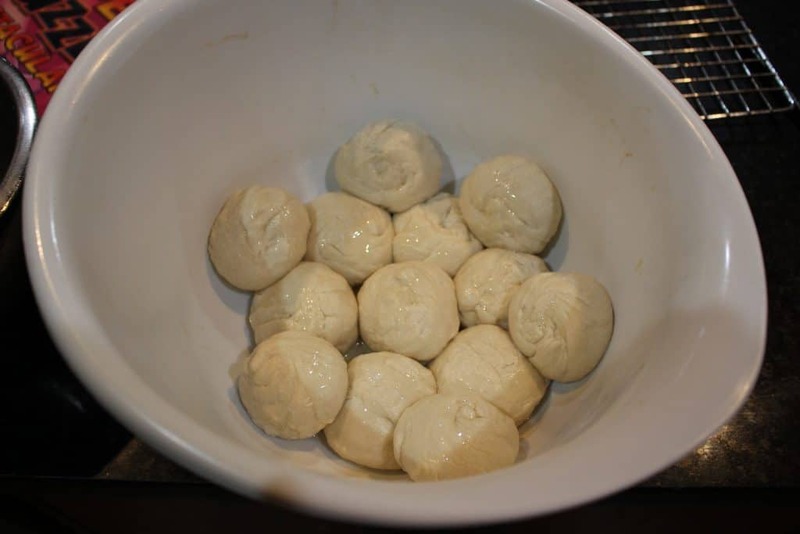 I used the oil that I soaked the dough balls in to roll it out. Now fold the opposite ends to bring it towards the center and then do the same to the other two ends making it a square. 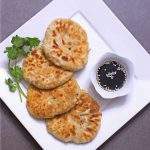 Cook the parotta on a hot pan until it golden brown on both sides. 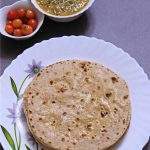 I did not use any oil when cooking the parotta as it had enough. The parotta can get chewier as it sits. So it is preferable to serve it as soon as it is made. Working with one ball at a time, roll it, stretch it as thin as possible. Liberally use oil when stretching the dough. 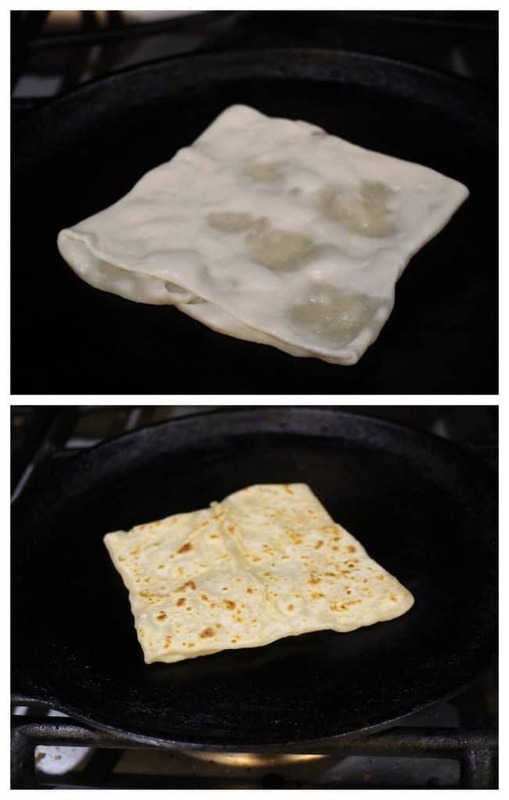 We don't use any flour when rolling, just oil all the way. Amazing parottas there, how beautiful and dangerously addictive they looks. Ages i have these sort of parottas, would love to have those flaky parottas with some rich gravy for my lunch today. I can see how thin the dough has been stretched. They look perfectly made, Sandhya. kudos to you. 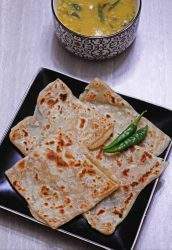 I love this veechu parotta than the regular round ones. And even I used to love watching the parotta masters while sitting in the bus. It was such a memorable period. Though these are not good for health, we surely love to indulge. 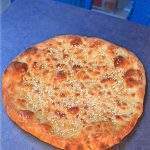 This flatbread has been introduced to me in this marathon , strange I have never spotted it on the South streets . The bread looks excellent , very flaky and my my .. you have rolled it so thin . A must try , and I shall not wait for any marathon for this . 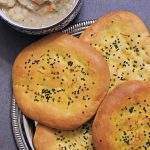 Great pick with V and unique bread for me.. Love the addition of curd in dough. 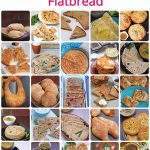 This flatbread looks so soft and flaky at the same time. I had come across the recipe but a Sri Lankan version where it was folded several times to produce more layers. Excellent pick for the letter V and beautifully explained. This would sure taste yum with some spicy curry. 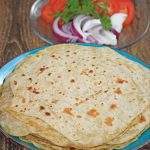 Awesome pick and yes I too did the same, the second round though..heheeh..you have got this done so thin and flaky Sandhya..
veechu paratha looking great, I too wanted to make it. feeling hungry to see yours platter. nice pick with letter V.
Veechu parotta is so famous here that even the small road side eateries have them on their menu.Yes, they are so oily and I get a tummy pain just seeing the amount of oil they use.But it does make it tasty and flaky! Your eggless version looks so nice Sandhya. 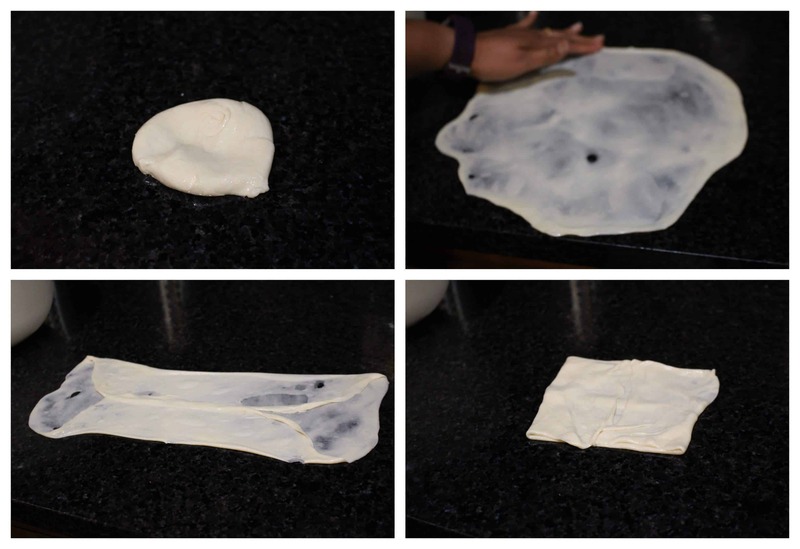 Amazing that you achieved that thin stretchy dough….reminds me of those Veechu Parottas that I have marvelled at! 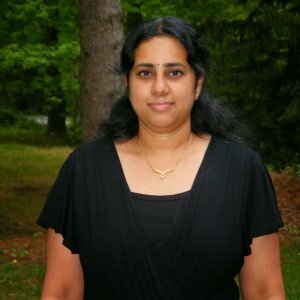 Awesome Sandhya!! Kudos to you!